New England could use more young people like Kianna Thompson. Unfortunately, New England is losing young millennials like Thompson in record numbers. In recent surveys, young adults say they can’t afford the high cost of living in much of New England. Some parts of the region are affordable – with reasonable rents – but those areas often aren’t near job-rich and walkable towns millennials (and seniors) say they crave. Thompson, 23, has bachelor’s degrees in psychology and sociology, and she’s pursuing an advanced degree in clinical mental health counseling at University of Bridgeport – a degree she’s paying for herself. She works in a preschool in the Stamford, Conn., public school system, of which she is a product, from Northeast Elementary to Westhill High School, class of ’12. 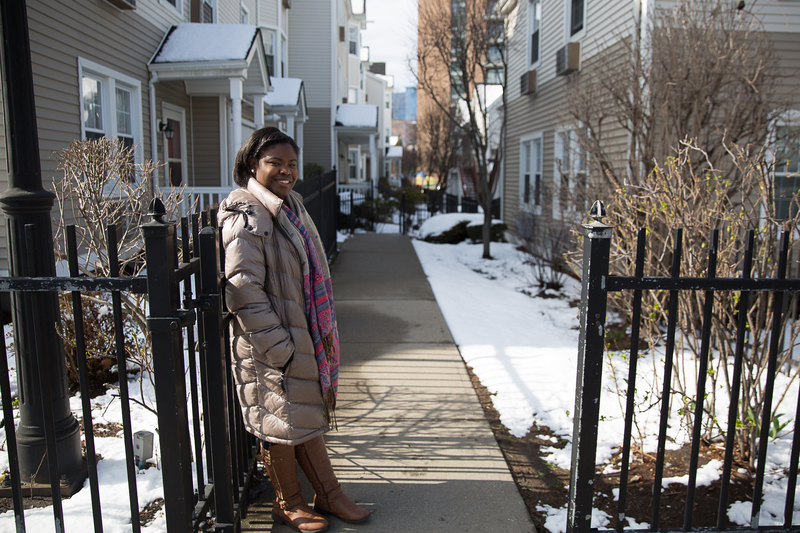 She has dreams of earning her master’s and living in her hometown, but her income is too low buy something on the conventional real estate market, and too high to qualify for affordable housing. Recently, after four years on a waiting list, she and her family were told they’d qualified for an affordable apartment in a luxury development, but the offer was rescinded when a holiday job Thompson took at an area Starbucks pushed the family over the income limit. So what’s a young adult to do? According to the National Low Income Housing Coalition’s annual report, “Out of Reach,” in 2017 (the latest year for which numbers are available) five of New England’s states ranked in the top 20 most expensive housing markets in the country. (Maine ranked 23rd). Of the more expensive New England states, Massachusetts ranked sixth, and Connecticut ranked eighth. The report said the national two-bedroom housing wage is $21.21 per hour. Nowhere in the country, said the report, could a renter earning minimum wage at a full-time job afford even a modest two-bedroom apartment. No where. Where does that leave a recent graduate? A study released last May said that the average starting salary for a new college graduate was $49,785, or roughly $24 an hour. The figure was compiled from 145,000 positions in 700 companies and organizations worldwide. 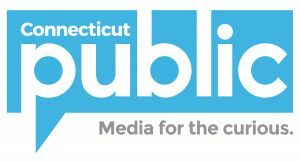 According to the Hartford-based non-profit Partnership for Strong Communities, 41 percent of the housing are renter-occupied, and 80 percent of the rental properties have rents of more than $1,000 a month. The housing wage is a walloping $37.65. That’s far out of reach for the average college graduate, unless that graduate can find roommates or a second or third job. Forward-thinking states and communities know they cannot survive without young people. For several years, Connecticut legislators have been kicking around a bill that would give a tax break for college graduates who stay in the state. Boston has been studying how to keep some of its 152,000 students near its 35 colleges post-graduation. A recent report from the Boston Redevelopment Authority said the loss of some college graduates is inevitable, though the city’s population is decidedly younger than most. From Census date, the report said that more than a third – 35 percent — of Boston residents are is the ages of 20 and 34. The report also said – as does other research from other entities – that job opportunities help retain graduates more than housing prices send them packing. Statistically, people like Thompson tend to stay close to home after college graduation – but New England retains the fewest of its graduates than any other part of the country, according to a Federal Reserve Bank of Boston 2013 policy brief. Since the region imports a third of its first-year college students, that’s a big deal. Only about 20 percent of non-native graduates stay in the area, according to the brief. Nearly 86 percent of native graduates say in the area. In 2016, City Lab said several New England metropolitan areas are among the worst overall at retaining college graduates, including Hartford and Providence. A 2017 study by Zippia, a career analytics and information website, ranked Maine (59 percent), New Hampshire (64 percent), and Rhode Island and Vermont (both at roughly 70 percent) among states that graduates are most likely to leave. The apartment complex Thompson thought she’d move in to with her mother and sister is part of a “below market rate program,” an initiative by the city of Stamford that, according to that city’s zoning regulations, seeks to provide opportunities for decent housing for low-and middle-income residents. Started in 2003, the rule requires developers of projects with 10 or more housing units to either pay into a fund, or make 10 percent of their units affordable for families who live on half the median household income of Stamford. Thompson’s family has lived in the same Stamford apartment for the last 20 years. She says the property manager does not do repairs in a timely manner, and there’s mold growing in their bathroom. Ellen Bromley, Stamford’s social services director, said the program differs from subsidized housing in that it’s meant mostly to provide housing for working people such as teachers and police officers who can’t afford to live in the town in which they serve. With Stamford’s below market housing, “the rents are the rents, unlike your typical subsidized housing tenants, who only have to pay a third of their income,” she said. The experience has left Thompson’s mother considering a move south, where the real estate is cheaper. Thompson says she hasn’t given up hope on Connecticut, but other places with affordable rents are calling.